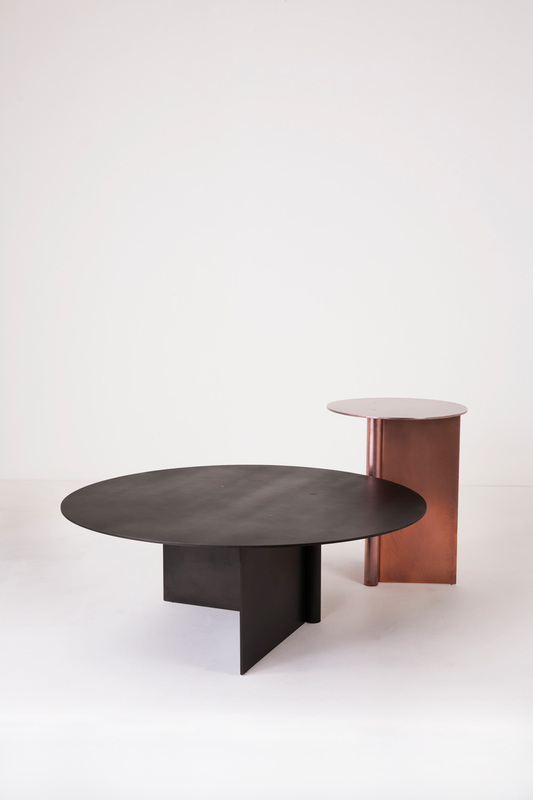 The Os table is made of aluminum with standard finishes in satin brass, polished brass, copper, blackened or matte brushed aluminum. Each table comes with brass screws and is sealed with a wax coat. 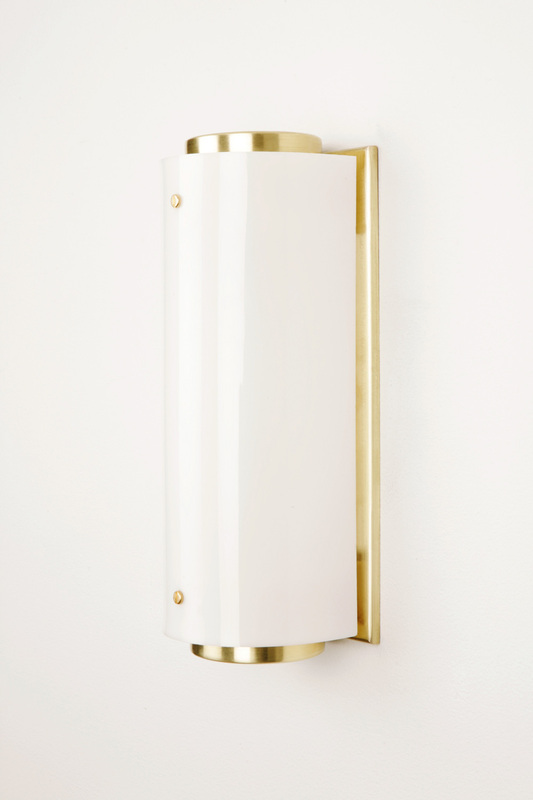 The Arc sconce is made of a solid raw brass body and backplate with a white lucite shade and brass screws. 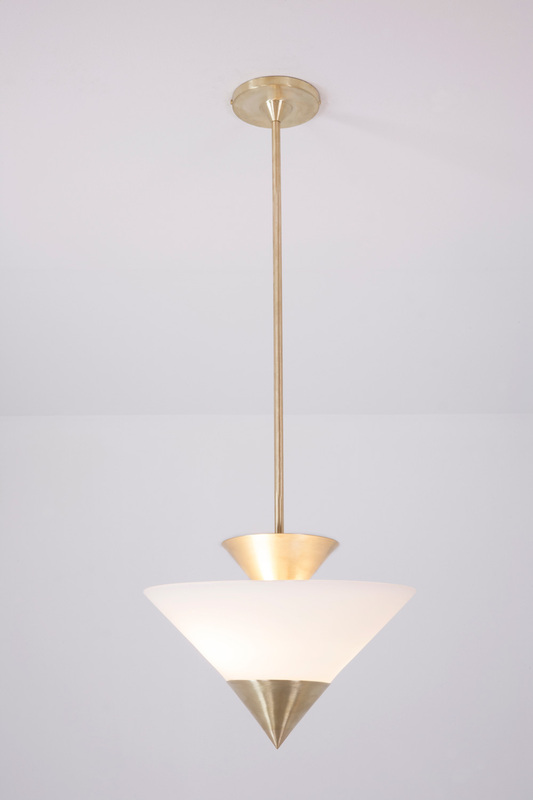 The Zé pendant is inspired by the geometric elements of Art Deco. Finish options for the brass stem, canopy, and cone are either raw brass or blackened brass. The hand blown conical glass shade comes in either green or white, and is sandblasted and oiled. 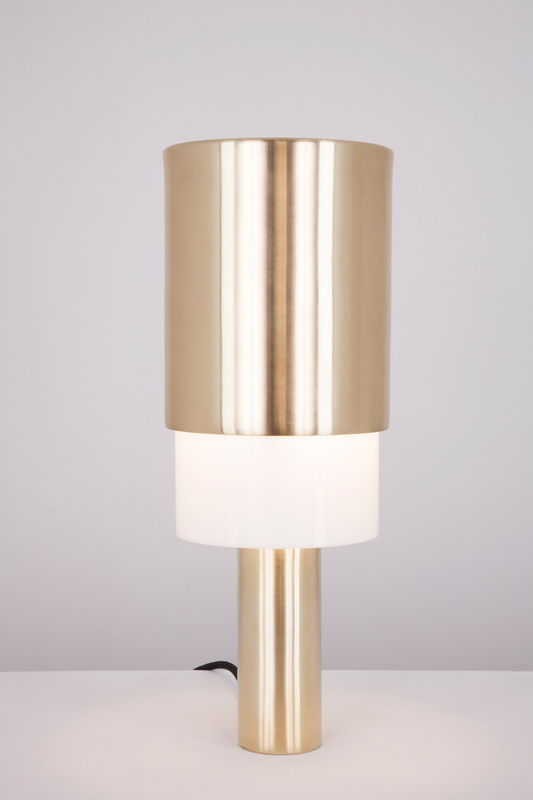 Monolithic and modern, the Totem lamp utilizes the cylinder as a sculptural element cast in rich hues of chrome, brass, or copper. Designed in collaboration with Commune Design, the V-Lite is a table lamp that doubles as a wall sconce. 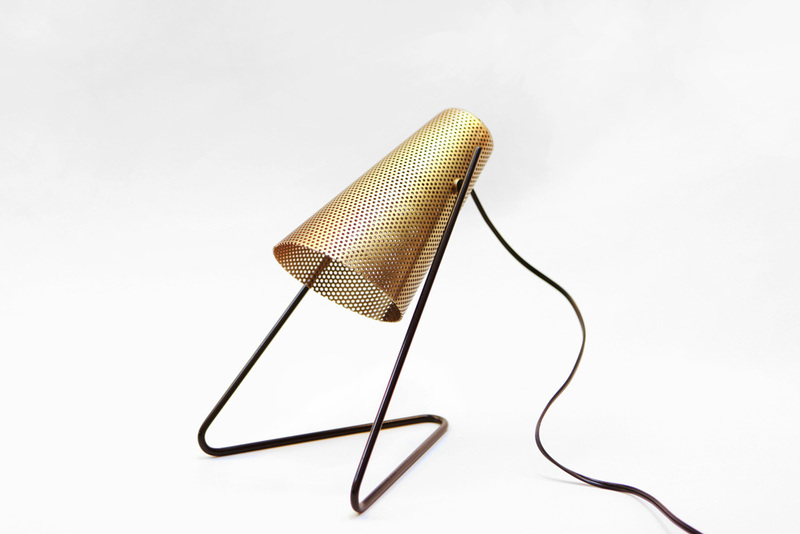 It’s made of brass plated perforated metal with solid steel pin legs. 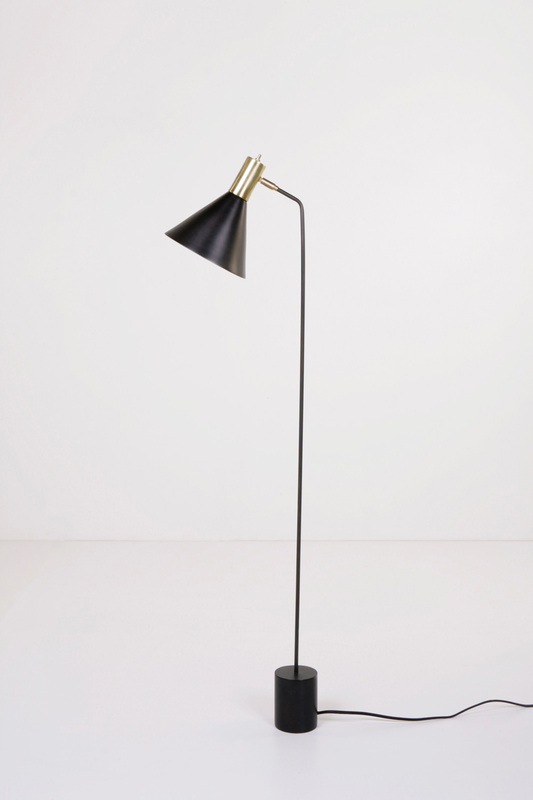 The Torche reading light features a thin darkened steel stem attached to a cylindrical base weight with an adjustable steel and brass shade. 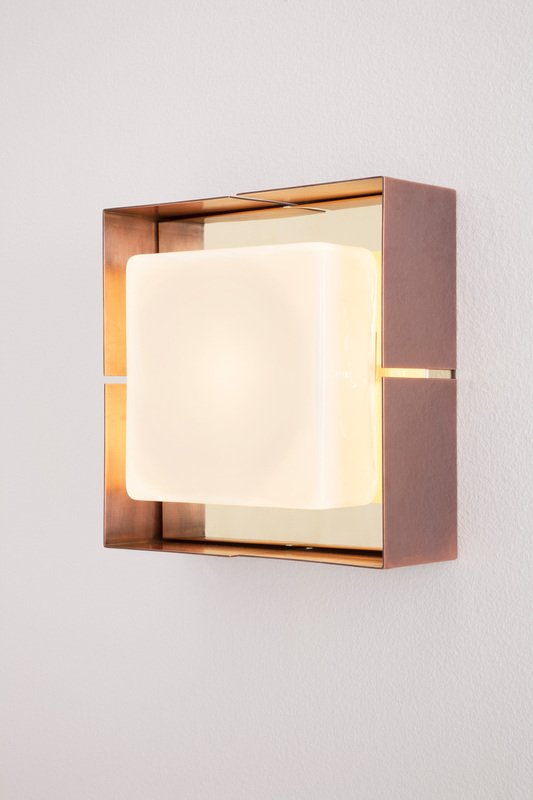 The Lune Sconce features a hand blown and sandblasted square glass shade mounted within a two tone metal frame. Exterior finish options are copper, raw brass, and blackened brass. The interior is finished in polished brass. The Balise is inspired by the 1960s and the irreverence of Jean Royère. 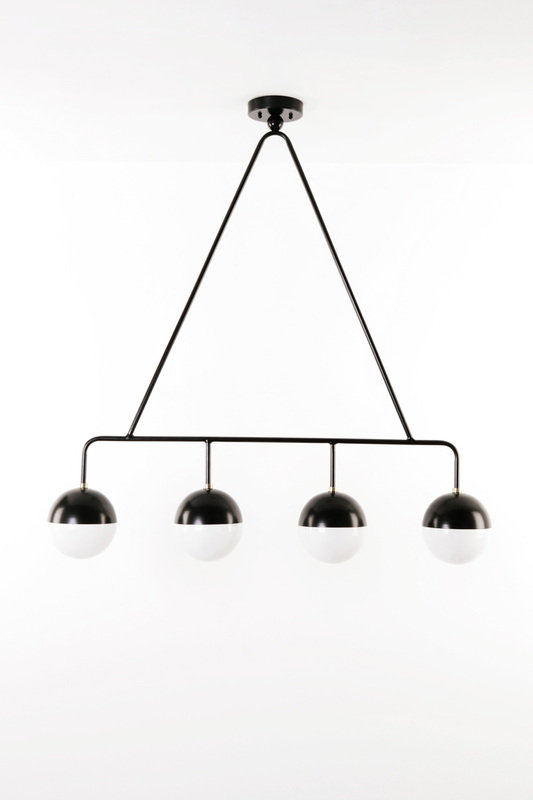 The pendant is fabricated from brass or black powder-coated steel with raw brass details and four 6 inch (15cm) opal glass globes.